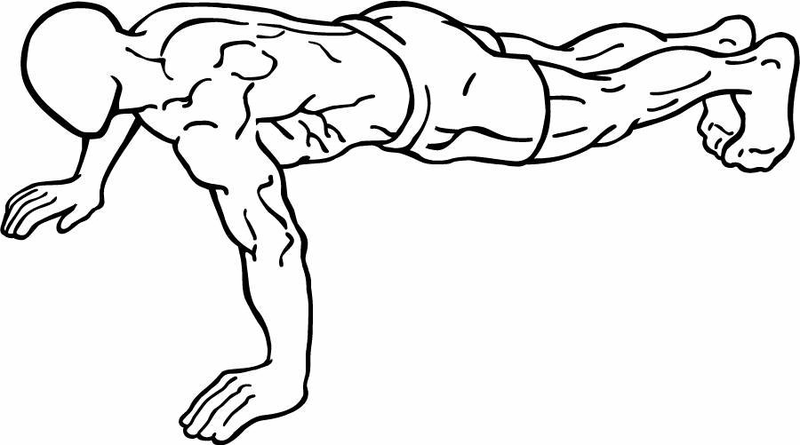 Get into a plank position. Keep your hands placed firmly on the ground, underneath your shoulders. Ground your toes into the floor to stabilize your body. Keep your body neutral and straight by flattening your back. Begin to slowly lower your body while keeping your back flat until your chest is close to the floor. Draw your shoulder blades back and keep your elbows tucked close to your body. Exhale and slowly begin to push your body back to it's starting position.